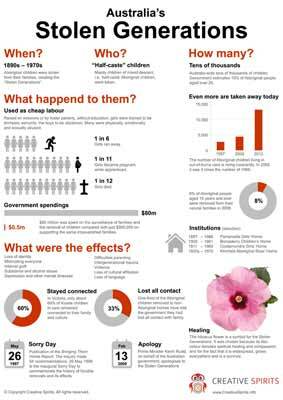 Use this concise overview to tell or learn about the story of the Stolen Generations: When did it happen? Who was taken? How many children were affected? And what were the consequences? include it in your assignment to stand out from others. I've designed this infographic specifically as a clean high-resolution PDF ready to be printed as A3 or A4. No skyscraper infographic you need to glue back together. Need more licensed copies? Get the discounted bulk version.